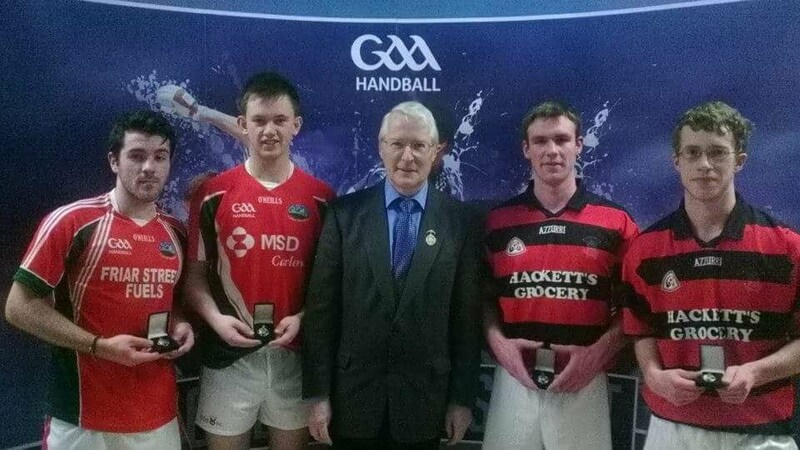 In Intermediate Doubles Padraig Cooney and Shane Dunne Castlecomer Community School played Shane McVitty/Caolan Smith St Patricks College, Cavan in the semi final and proved too strong which they won convincingly and played Niall Joyce and Patrick Murphy St Colemans Claremorris in the final. This game proved to be a great game with all the skills of the game on show and a great win for Padraig and Shane bringing All Ireland Gold back to Castlecomer Community School. 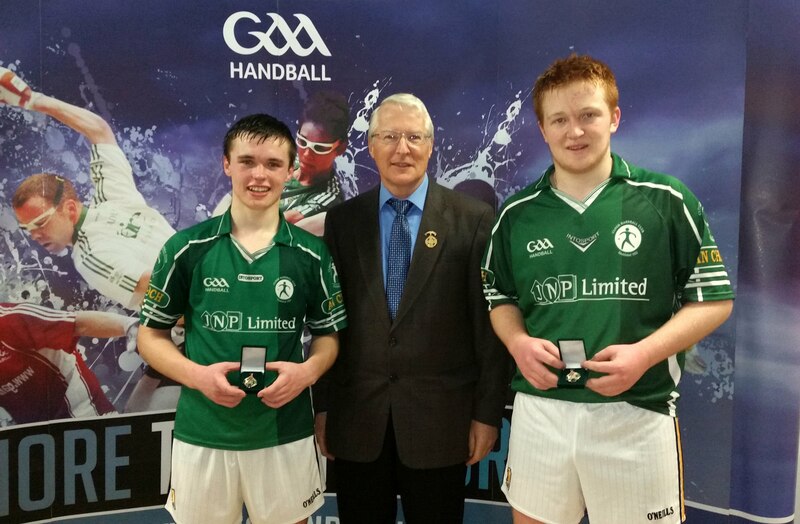 Padraig and Shane have done the double as they won the 60x30 Intermediate Doubles before Christmas. Well done on a great achievement. In the Girls Junior Singles Aoife Holden Grennan College Thomastown played Megan McCann St. Michaels Grammar School Lurgan in the semi final. 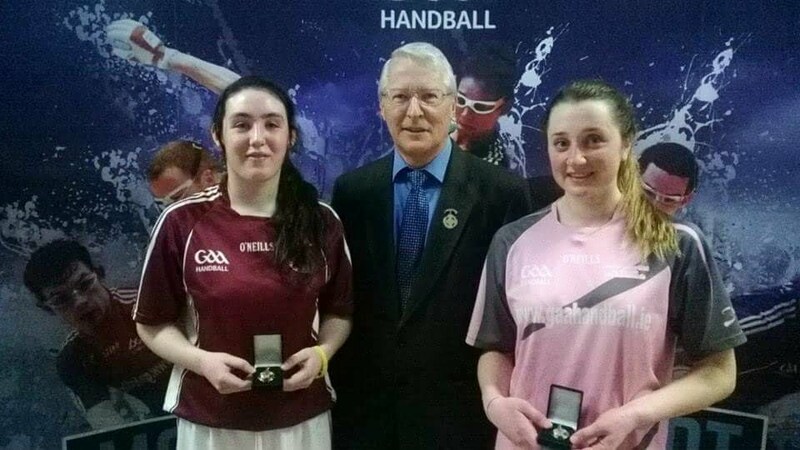 This was a very close game with Aoife winning and in the final she played Eimear Ni Bhiada Colaiste Cholm Cille Galway, unfortunately for Aoife things didn't go in her favour and was defeated but a great achievement to reach the final and bring back a silver All Ireland medal to Thomastown. In Junior Singles Eoin Brennan St. Kierans played Darragh Cavanan St, Ciaran's Ballygawley in the semi final the first game was evenly contested but unfortunately the second game didn't go too well and Eoin was defeated by Darragh. Hard luck but well done on getting so far. In Senior Doubles Emmet Landy and Darragh O Shea Callan played Eoghan Quinn and Ronan Lagan Dea Maguire Carrickmore, Emmet and Darragh proved too strong and won convincingly and played Daniel Hayes and Jonathan Walsh Cashel Community College, the first game was evenly contested but unfortunately the second game things didn't go right for Emmet and Darragh but a great achievement to reach the final and bring home All Ireland silver.